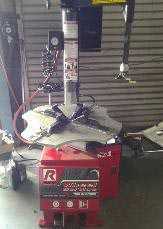 The Ranger RX3040 provides your shop with the most advanced tire changing capabilities on the planet. The Ranger RX3040 is a durable day-to-day performer with the flexibility to service a wide variety of wheels with ease; including OEM configurations and exotic performance wheels with ease. The Ranger NextGen™ Series RX3040 tire changer features the most advanced features and capabilities in the industry today. Technology has come a long way since the early days, and this model is proof. This is a premium touchless machine with more features and capabilities than any other Ranger model. No levers or tire tools are needed with this beauty. All functions are handled throught it's electric / hydraulic system. No need for lifting heavy wheels any longer, not with the wheel lift which comes standard. Saves your technician's back, decreases worker's comp. claims and speeds up work. You'll be able to handle virtually any wheel that gets thrown at you with the RX-3040. Run Flats, low pofile, even the most stubborn ultra-low profile wheels are no match for this machine. High performance, custom wheels and exotic rims? Run flats? Don't worry. You might have turned these customers away in the past, but not anymore. Control many functions with a joystick, and never touch the wheel. The innovative reversible tool head can dismount and then mount virtually any wheel you place on it. Don't worry, any component that touches the rims will have polactic guards in place to prevent any potential for damage. No machine makes it simpler, and no machine protects the rim better. You can use this machine all day, every day in the busiest tire shops. It was meant to perform under the harshes circumstances and will hold up in the most difficult environments. Bring in new revenue streams with this full featured machine. Change tires all day long with the confidence that everything will turn out all right, and you made a wise investment. Power Assist Tools Thich side wall tires are no match for the powerful pneumatic drop center tool. Time required for these functions is a fraction of what it is with a competing model. This drop center tool is vital to hold the sidewalls and comes around with the bead as the wheel is being mounted. it also acts as a tire hook to reduce the effort exerted to remove the tire lower bead. The roller at the top helps with the bead there to maintain best positioning for stubborn thicker ply side walls. The drop center tool makes tough side walls a breeze, so your tech can handle other tasks and get more tires done per day. It secures the side walls in the center area and comes around with the top bead as it is being mounted. The tool also works double duty as a handy tire hook to lift wheels up off the flangemaking it easier to raise the lower bead. Set up is fast and easy with a centering cone type set up. No clamps here. Just like on their popular wheel balancers, they utilize a handy quick nut to secure the wheel to the machine. This eliminates any potential for damage. Versatile rim capabilities. Handles all the way up to 30" rims, and all the way down to 10" rims. Also can handle up to 22" wide wheels. If you need to handle bigger than this, you must service some really unique vehicles. No bead is too tough for this bead breaker. It has the force to handle any wheel you throw at it. No problem. Period. We've said it before, but it is so important it bears repeating. There is no possible way the rim clamping system can harm your rims. Nothing that its steel or metal ever touches the rim. No tire tools or levers ever touch the rim. Nylon inserts for the steel tool head, a completely nylon tool head, no mar quick nut and rubber pedistal cover are all provided as standard. Ranger's exclusive Target Lock button is controlled by the joystick and will automatically locate the mounting tip functions to a precise 1/8" from the edge of the rim. It simply will not contact the rim. the top bead roller helps control the bottom bead operation targeting as well, assuring that you are at the exact precise location, just as easy as pressing a button. And just to verify with the human eye, Ranger supplies a LCD camera and monitor, so the technician can see everything that's going on underneath. Pedals control all functions and are located at the front of the unit, within easy reach of operator. The powerful 3 HP turntable speed is precisely controlled so no wheels or tires are damaged, and it is easily reversable. The European 3000 psi hydraulic pump allows for multiple speeds for dismounting and mounting. the unit supplies 10,000 pounds of bead breaking force and a huge supply of power at the tool head. Mounting the unit in the rear allows for easy access for service, yet protects it from getting damaged when your technician is operating at the front of it. The unique 5 port manifold means less working parts to break. It controls all functions with the finest Italian made solenoids that feature just 2 working mechanisms, thus reducing the potential for problems. No need for any air jet blast assist tanks. The large and powerful turbo blast air bead seating tank system makes sure that even the largest thick ply tires can be seated with minimal effort. The tire inflation sysrem also sports a big air pressure gauge and pressure limit valve that prevents major over-inflation. Valves are precision crafted made for heavy workloads and repeated demad beyond normal use. Crafted of aluminum alloy valves along with stainless steel spools increase life expectancy. Cones included allow you to handle larger full size pick up truck wheels. Cones provided allow you to handle wheels with center holes ranging from 2" all the way up to 6.5". Also included is a spacer plate for offset wheels. Think Green - This Ranger tire machine is so advanced, it shuts down key features automatically after 15 seconds of being dormant. This saves on wear of it's components, power consumption, noise as well as greenhouse gasses.  Why Should you purchase a BeRanger Tire Changer from ASEdeals?